In 2018, ladder violations were the sixth most cited violation recorded by OSHA. Although ladders are simple to use, they are very often used incorrectly. When not used correctly, ladders can cause serious injury to the person using it. Inspect the ladder before using. Make sure it is in good condition. Do not use ladders in high winds. 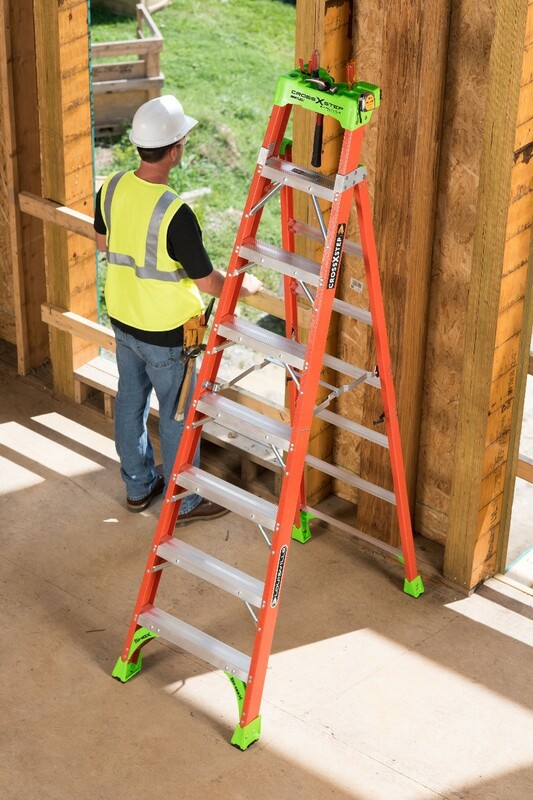 Select the right size ladder for the job you’re performing. Make sure the ladder is on a firm, level, and non-slippery ground. Only allow one person on the ladder at a time, unless the ladder is designed for more than one person. Do not place ladders in front of closed doors that can open toward the ladder. Wear non-slip shoes when using a ladder. 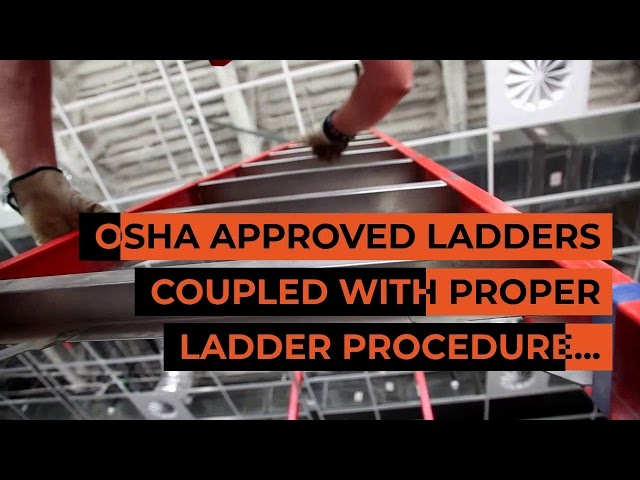 OSHA has requirements for ladders that are designed to protect workers from injury. 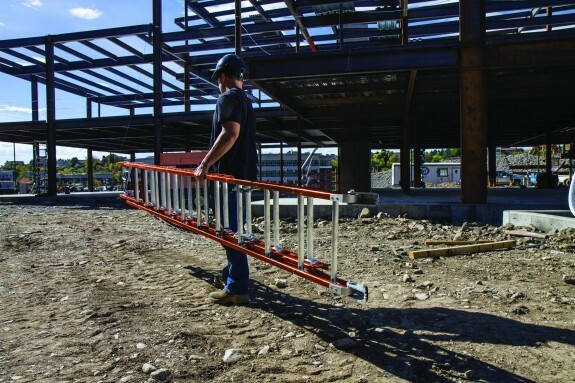 Under the general requirements for ladders (29 CFR 1910.23) OSHA addresses proper ladder climbing technique as well as the specification requirements for ladders. Proper Climbing Technique: When ascending or descending a ladder, the user must maintain three points of contact at all times. Employees must face the ladder while using it and have at least one hand firmly grasping the ladder. Never carry a load that could cause the user to lose balance and fall. Falls are the leading accident among construction workers. Using the right ladder is a top priority. Safety Supplies Unlimited sells OSHA approved ladders by Louisville Ladders! 2 in 1 by Louisville means a step and shelf ladder in one! OSHA compliant and recommended! OSHA approved ladders coupled with proper ladder procedure will ensure the safety of the user and those on site. Safety Supplies Unlimited: Proud Provider of Louisville Ladders! 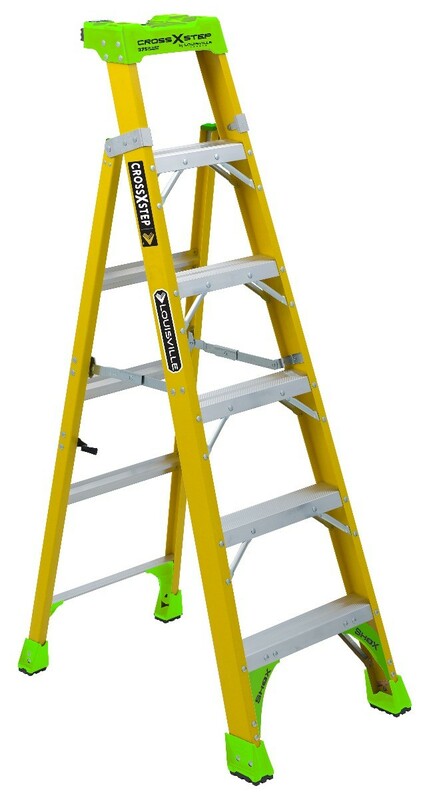 Visit our online safety supplies shop to purchase this OSHA approved ladder by Louisville Ladder. This entry was posted in Safety and tagged construction, Construction Safety, ladder, safety, SSU.